Home Movies MTRCB Pinoy Movies Quick List of Local Movies that were already reviewed by MTRCB for the whole year 2016. Quick List of Local Movies that were already reviewed by MTRCB for the whole year 2016. The information below is the movies that were already reviewed by the Movie and Television Review and Classified Board (MTRCB) but not included the ratings from January to December 21,2016. 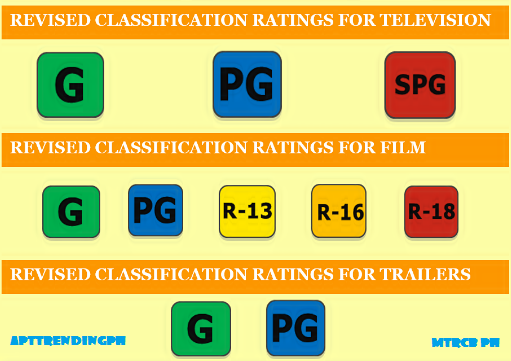 To see the the ratings we encourage you to visit MTRCB's official website for full details. Here is the link: MTRCB. REGIS FILMS AND ENTERTAINMENT, INC.
FIRE STARTERS MANILA PRODUCTIONS CO. ROCKET SHEEP POST PRODUCTION INC.
CENTER STAGE PRODUCTIONS (CSP) CO.